Newbie here and can't seem to put the phone down for hrs because of this awesome site! All the info you ever needed right here! Starting school sept14 finish up oct 8 then plan in heading over to PRIME! Try service transport , there out of Houston and run a out and back policy , they offer recent grad training , it's a mix of local, dedicated and otr runs. KNIGHT orientation in the morning in Gulfport !! Got up and went down to the hotel lobby and jumped in the shuttle van to head on over to Knights terminal . Got there and meet our instructor, waited around for a hour or so for no shows then back to the van and off to do physicals. FYI no matter what medical card you already have doesn't matter once your there, your getting another. Once done there we headed to subway for lunch , 6 inch sandwich and you get a choice of 3-4 basic ones to pick with basic toppings, you get a drink and chips from the terminal where you will eat. After that we sat for a little while talking amongst each other . After a hour or so of that we started doing our whiz quiz and hair test. Make sure you drink plenty cause during your physical you will pee in a cup but not for drug test. Once finished with the drug test two people ,one a re-hire and another guy 6 months exp,went with the instructor for a road test, while the 3 of us left talked with office personnel and got all of our payroll and any other paperwork squared away . We didn't have much else to do after so while we waited for the students that were doing there driving test we talked to a few drivers in the lounge then walked out in the yard and looked over the trucks. The others returned from there road test and we were brought back to the hotel. We will start training on Qualcomm and the other system knight uses, also we have a bunch of videos to watch wnd learn more about the company and its policies . All in all today was pretty good, from office personnel to the drivers everyone at the terminal had a great attitude while being very helpful. Time to relax and get ready for tomorrow . Its finally time to take the next step in this career, sitting down grabbing a bit to eat then back to the hotel to relax and get a good nights rest , only nervous about having to do a driving test being I bern out of cdl school month, will try to post up a daily report . Trucker's GPS , which one do you have ? I was also looking into the garmin dezl , I like the fact it's compatible with your phone and has the built in dash cam plus you can add the external camera and use it while backing . Rookie here and I've been trying to figure out what gps I should look into buying soon. I was wondering what everyone was using, how accurate and what helpful tools it offers. My 2 cents , just keep your cool and focus on your backing , sounds like you have your pre-trip in the bag already and that's a great thing. I finished private cdl school a few weeks ago and we had 4 instructors ,so 4 different opinions on anything you asked lol sometimes it made you more confused after asking then before you asked the question. They each could tell you a different way to do the same backing manuever BUT they all agreed on one thing , on our 90° backing we were to use the mirrors and put your head out the window . keep on with the daily updates , Monday I will be in gulfport,Ms To start orientation with knight and will try to do some sort of daily log myself. What to expect for knight orientation in Gulfport ? Thanks Errol V , you know I honestly forgot all about just useing the search engine lol My brain is all over trying to prepare myself before orientation. Hello all , with the help of this GREAT site ,(thanks to Brett!! Well done sir wellll done !!) I obtained my cdl a few weeks back at a private school here in Louisiana and I have Knight ready to set me up this Monday for orientatiom in Gulfport , I was just wondering what I should expect , they really seem like a great company. Can anyone give some insight ? It would be greatly appreciated. I read just about everything sandman has posted about them and fellow members. I never came across like a day one day two etc ... Sorry for rambling lol but I would greatly appreciate some info , thanks . McElroy or Boyd Bros. ? Hello all! I would like some info on these two companies , long story short I just finished Cdl school, myself and 3 other classmates all wanted to work for a company that we had heard very good about even from one of our instructors that had previously worked for them, the terminal manager came and talked about a hr about the company and made it really sound great and we liked the out and back policy because we could make some decent pay but still be at the house with family a few times a week . Well we finished class and sent in the app and for two weeks got the run around about waiting on HR looking this and that over , then they couldn't say we can't hire students though we said we do and would , no, they sent nicely worded letters to say they picked someone they felt was a better fit , so a waste of time with bills pulling up , now I have pre-hires for mc Elroy and Boyd bros and really not sure who to go with , they both seem to be good starters . Can anyone give there opinion on either of the two ,I know a few here have to be working for them or have in there past , please help anyone ! Been wanting to do this for a long time and the opportunity has come up and I'm running with it, can't wait to head to first day of school in the early a.m.. 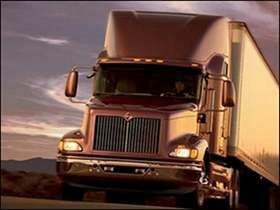 Anyone else here have any time with coastal trucking ? I will be at the Hammond location . Well day one is in the books , long day but I enjoyed it and just from doing close to half of the high road training program here ( which is awesome) I was already familiar with everything we reviewed and practiced today , the instructors seem to be pretty informative and tell you exactly what you need to know to be able to obtain your permit and actual class a ,, ready for tomorrow !